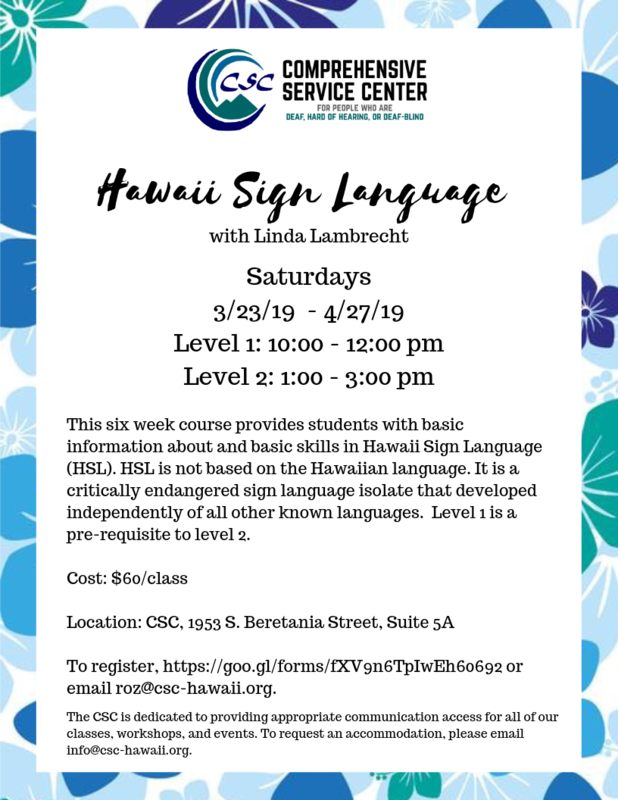 This six week course provides students with basic information about and basic skills in Hawaii Sign Language (HSL). HSL is not based on the Hawaiian language. It is a critically endangered sign language isolate that developed independently of all other known languages. Level 1 is a pre-requisite to level 2.